Spring greetings to all of my favorite music video programmers! 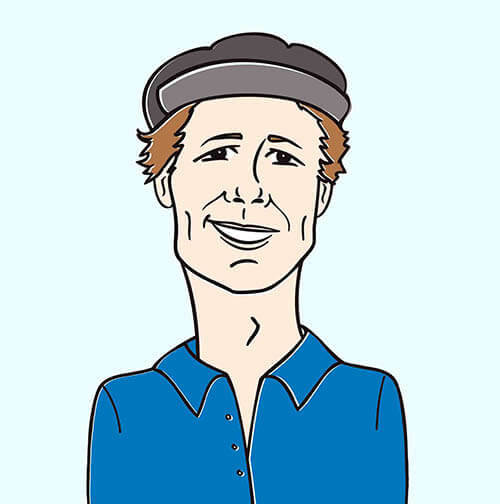 It’s Andy Gesner and the staff from HIP Video Promo coming back with another must-see video! Today we’re thrilled to be able to bring you the latest clip from The Kooks — and the third we’ve had the privilege to promote. Tracing the visual development of Britain’s new favorite rock band has been fun, too. The “Eddie’s Gun” clip was all energy: a brash introduction, and explosion of light and heat, and a showcase for videogenic frontman Luke Pritchard. “Naïve”, a video about a lost night out and missed chances under the blur of the club lights, hinted at the subtlety and emotional complexity just beneath the surface of the band’s infectious Britpop. Both songs (and videos) were gigantic hits in the U.K., and reverberations have been felt across the pond: on their first trip to America, the Brighton quartet sold out shows on both coasts. Stateside success now seems inevitable – The Kooks are poised to become this decade’s answer to Oasis. They’ve got the look, they’ve got the drive, and most importantly, they’ve got the tunes. In case there was any question about it, the video for “She Moves In Her Own Way” announces the group’s intention to take the Western Hemisphere by storm. The beautifully-shot clip finds The Kooks on tour in Mexico, streaking from town to town on bus, walking the dusty streets and perching high above marquees written in Spanish, and horsing around in a luxurious hotel pool. They possess the ease and grace of true rock stars: there’s an inevitability and confidence in every move they make, and all four bandmembers command the camera with playfulness and exuberance. This is the sort of clip that a group makes during the first flush of worldwide success – and that feeling of wonder and amazement at the thrill of rock and roll fame is present in every frame. They’ve made an inspired choice of collaborator, too. Diane Martel is an auteur of glamour, and one of the most sought-after video directors working in American commercial music. She specializes in capturing the mercurial personalities of superstars, and her world-famous clips for Jennifer Lopez (“Get Right”), Alicia Keys (“If I Ain’t Got You”), John Legend (“So High”) and Beyoncé (“Listen”) offer the viewer an intimacy rarely seen on contemporary music television. Martel has done the same for the rock bands she’s worked with (Franz Ferdinand, The Bravery, and The Killers, just to name a few), showcasing both the dynamism of the groups and the star quality of the individual members. The “She Moves In Her Own Way” clip finds both the director and the musicians she’s shooting enthralled by the power of popular music; they’re shown, again and again, strumming acoustic guitars and casually singing their song. Modest, maybe: yet this is the engine that’s brought the group to Mexico and across America. This straightforward assembly of notes and chords – and voices raised in harmony to present them – has scaled the British charts, and put the latest Big Thing in position to conquer the New World. Risa Morley and the entire Astralwerks family have brought us more amazing videos than we could ever hope for, and we are proud to add this fine clip to that list. The Kooks have been storming across the United States all year, establishing themselves as the must-see band! We are also very excited to tell you about the huge contest we are running for our all our cherished programmers who add “She Moves In Her Own Way” to their programming! Every time you play the video, you will be added into a drawing to win a limited edition autographed Kooks tour poster, CD, vinyl and other goodies! Don’t miss this opportunity to kick it out with The Kooks!. We will also be happy to set you up with copies of Inside In / Inside Out (if you don’t already have it!) for all of your on-air giveaway needs, as well as a video interview the next time they are in your market, so please be in touch with us! If you need more info, call Andy Gesner at 732-613-1779 or e-mail us at HIPVideo@aol.com. 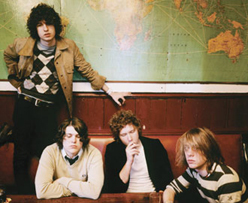 You can also visitwww.Astralwerks.com, or www.TheKooks.co.uk to find out more about The Kooks.